Supports core bit diameters of upto 5-1/4"
Base Dimensions: 12-5/8" x 9"
Eibenstock BST 104/60 V combination anchor or vacuum stand is designed for use with our END and ETN Series Eibenstock hand held core drill motors. This stand weighs 18.7 lbs and is 30" tall. The base of this stand is 15-1/2" x 9". The stand has a 60 MM female motor mount. 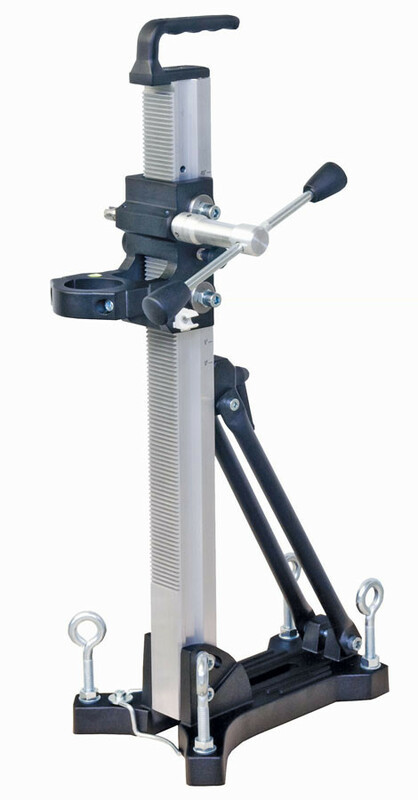 Includes leveling bubble and adjustable column for angle drilling. Supports core bits of upto 5-1/4"